More than anything, Millennials want engagement at work, but often have to settle for morale. 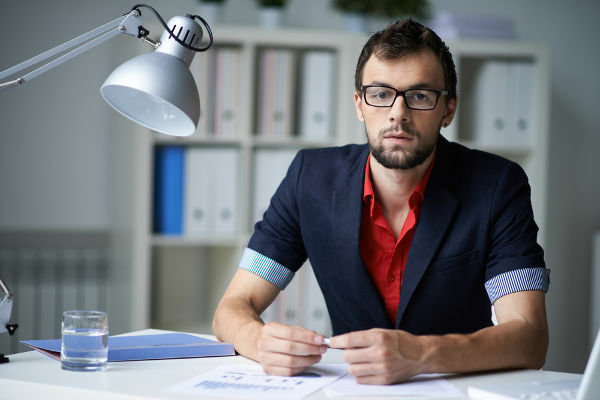 In countless organizations, engagement is often conflated with morale–as if engagement is just another metric assessing how employees feel about their work and their roles. That’s a mistake, especially where the new (majority) generation is concerned. Morale fluctuates, and often responds to forces well beyond an organization’s control. Bad weather can sap morale. A death in the family can impact employee performance. A beer truck colliding with a pretzel truck in front of the office could, in theory, be a great boost to morale. These fluctuations in mood and outlook are like weather, but mission and purpose are like climate: they change slowly, if at all. One bad day does not undermine the greater purpose informing work. Morale is tumultuous; purpose provides a stable foundation of values. This is what Millennials are talking about when they answer surveys asserting that they want purpose from their work. More than pay, perks, or other benefits both traditional and experimental, Millennials want to go to work each day knowing their time and efforts will add up to a greater whole, one which benefits their communities and the world. Not only are Millennials purpose-driven at work, they increasingly expect businesses to realign themselves to also be more purpose-driven. An organization the focuses on morale triage–little perks like free coffee or a casual office dress code–ultimately misses its greater opportunity to put purpose first in a way that keeps Millennials not just at work, but truly engaged. An engagement strategy built on purpose fosters satisfaction, which can be as infectious as dissatisfaction. Engagement is no longer a nice-to-have or a productivity hack managers can use to increase worker efficiency. Keeping workers engaged is a matter of workplace safety and organizational survival. To an extent, of course, engagement has always corresponded at least somewhat to safety: slackers and heavy machinery are a bad combination, after all. But dissatisfaction can breed general toxicity in the work environment that isn’t generationally limited. Employee disengagement is a key psychosocial hazard that can correspond to complacency and cultural deterioration. Complacency becomes particularly hazardous in the digital contexts in which most modern businesses operate. Our workplaces–and our lives–are becoming dominated by Things; in particular, smart, internet-connected Things which make up the Internet of Things. Each of these devices, each access point where users can interact, is potential vulnerability to the data, the network, to the very devices themselves. The huge risk to hacking, spoofing, and other such cyber attacks means any complacency with respect to IoT devices is a significant security hazard. Combating cybersecurity risks takes the same approach that workforce development does: new skills development, and an awareness of how individual behavior impacts the whole. In short, engagement from both management, and workers. Attitude can become endemic. That means complacency in behavior around tech can catch on, and undermine even the most robust firewall. The stickiness of employee habits can make others feel justified in showing no will or interest in further learning and development. From both a productivity and security standpoint, engagement deserves to be top priority. The learning curve, combined with a chaotic environment of tech transformation and security hazards, creates lots of challenges for both organizations and employees. A purpose-driven culture faces such challenges armed with the surety that the struggle is worth it, because the ultimate goal is valuable. This kind of culture carries individual workers along with it in a net of confidence: it is worth learning, using technology consciously and carefully, because it all furthers a mission of which the individual matters. No morale boost can make up for the absence of this kind of mission-focus. Purpose is what keeps Millennials around, but it is also part of what keeps systems, networks, and devices secure. 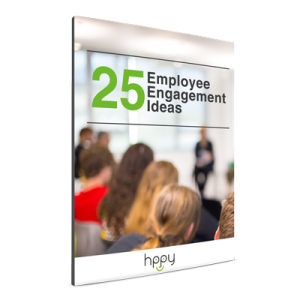 Download the eBook and get practical employee engagement ideas that you can start implementing today!